We so enjoyed meeting and working with you, also. We would recommend your services in a heartbeat! We were totally happy with the outcome of the sales. Of course selling my mom's house and letting go of so many things was emotionally draining, but the memories will be with us forever. You and the gang are a class act! 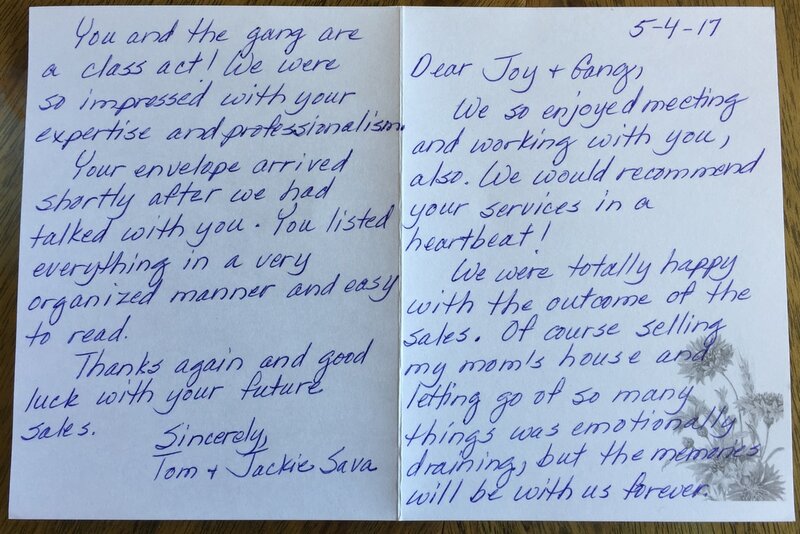 We were so impressed with your expertise and professionalism. Your envelope arrived shortly after we had talked with you. You listed everything in a very organized manner and easy to read. Thanks again and good luck with your future sales.